Last year when Tiger Woods and Rory McIlroy faced each other in the final round at the Augusta Masters, their careers were pretty much headed towards opposite directions. Woods had taken a nosedive into mediocrity – considering the incredibly lofty standards that he has set – while McIlroy seemed like a shoo-in to win his maiden major title, climb up the pecking order in golf, and fulfill the prophesies of him being the next big thing in golf. While Woods duly complied and traced a pretty protracted downward spiral that moment onwards that saw him fall out of the top 50, McIlroy forgot the script back home and conjured up the greatest meltdown by a 54-hole leaded at the Masters in more than 50 years. However, he did go onto eradicate the phantoms of the Masters malfunction in the US Open, and reached the summit of the golf rankings after the Honda Classic as well. 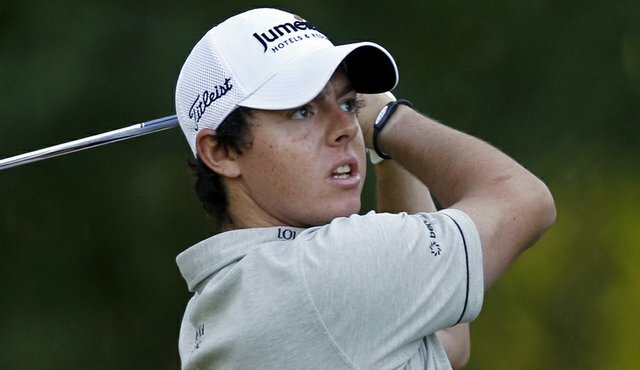 All the same, this time round, both the golfing superstars are on the up – McIlroy having found the golfing apogee recently, while Tiger Woods has ended a 30-month title drought on the PGA Tour owing to the five-shot triumph at Bay Hill last Sunday. This triumph for Tiger has pretty much confirmed what has long been on the verge of resurfacing – Tiger is back to his best! And this too at the most opportune time; ahead of the Augusta Masters. McIlroy was long being touted as the favourite for this year’s first major, however, as it doesn’t take a particularly huge convulsion to upset the bookie odds, Tiger’s triumph on Sunday has nudged him ahead of the World Number 1, and the American is now being considered at the man to beat. We all know what Woods can do at clutch time; and when one sees the hunger returning – and it sure has been the case for a while now – you sense that Tiger is all set to roar. And of course Woods rarely fails to live up to expectations when he is in this groove. Nevertheless, what Tiger Woods at his peak never had was another ‘superstar’ who had the wherewithal and the flamboyance to topple him. Customarily, when Woods flaunts his best, it is game, set and match – no one else really has much say more often than not. However, what the rise of McIlroy has done is that probably for the first time in the Tiger era, we get to see Woods face off against someone who’s best can be more than a match for his best. Having two sporting luminaries lock horns at their peak form is enough to whet the appetite of the aficionados and that is what we should expect Thursday onwards. McIlroy might have atoned for his meltdown last year by winning at Congressional, but he won’t really get this particular monkey off his back till he bags his maiden Masters title. And even though he has what it takes to do it the coming Sunday, he’ll have to do it by overcoming the challenge of one of the greatest athletes of all-time at his menacing best. It is Novak Djokovic vs Andy Murray round three of 2012, with both players splitting the results of the previous two encounters. The Serbian bagged the much bigger of the two matches by edging out the world number 4 in that epic semifinal at Melbourne, while the Scott returned the favour in Dubai at the same stage. It is the last ATP 1000 event before the clay season kicks off, and men’s tennis finds itself at an interesting crossroads. Djokovic has been the man to beat this season again, but his form has not quite been as menacing as last year. Murray, on the other hand, is looking to cement himself as being a worthy part of the big four of men’s tennis. Even though the top four have remained the same – with shuffling within this bloc – but it’s more of a big three and Murray rather than a veritable Big Four sans Murray breaking his Grand Slam duck. Ivan Lendl has been working hard with the Scott, and the improvement – both with regards to his game’s structure and the mental strength – is there for all to see. The walkover against Rafael Nadal in the semifinal would have frustrated Murray, as he wouldn’t have had been able to apply his latest game plan against Nadal and gauge himself, however, he would know that if he triumphs against No-Djo today he would give himself a kick for the rest of the season. And this is possible; for, compared to Roger Federer and Nadal, it’s actually Murray who has had the best record against the Serb since the latter traced his purple patch. Djokovic, meanwhile, knows that he shouldn’t let the foot off the pedal. And even though losing against Murray would be a few light years away from being a disaster, it would certainly giving the Doubting Thomas the arsenal to bombard his scepticism regarding the World Number 1 being on a relative down.